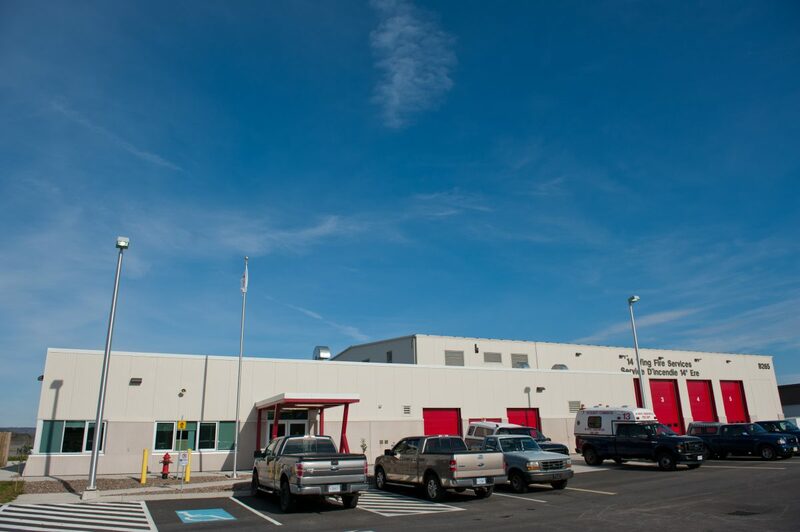 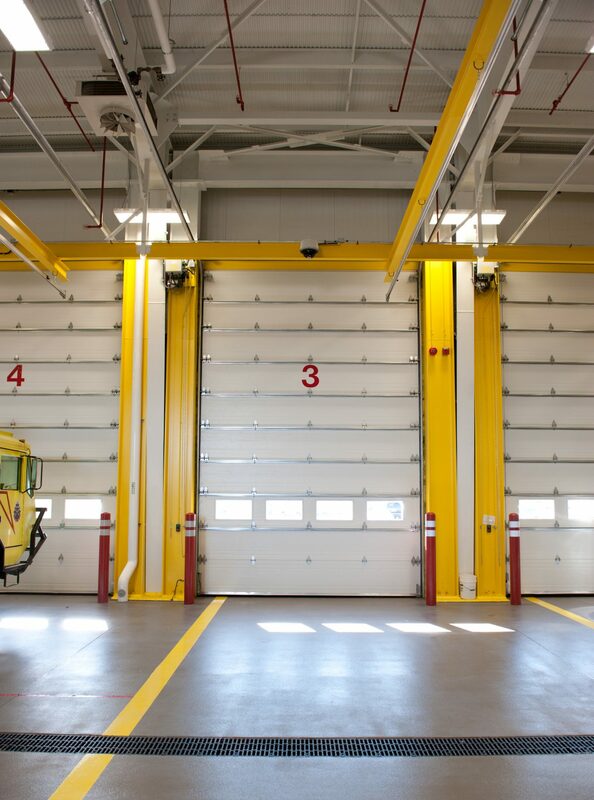 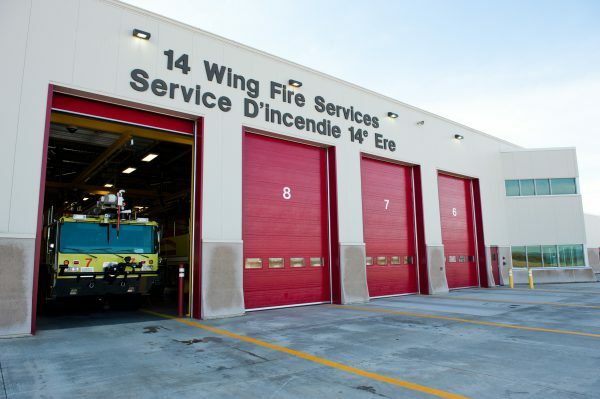 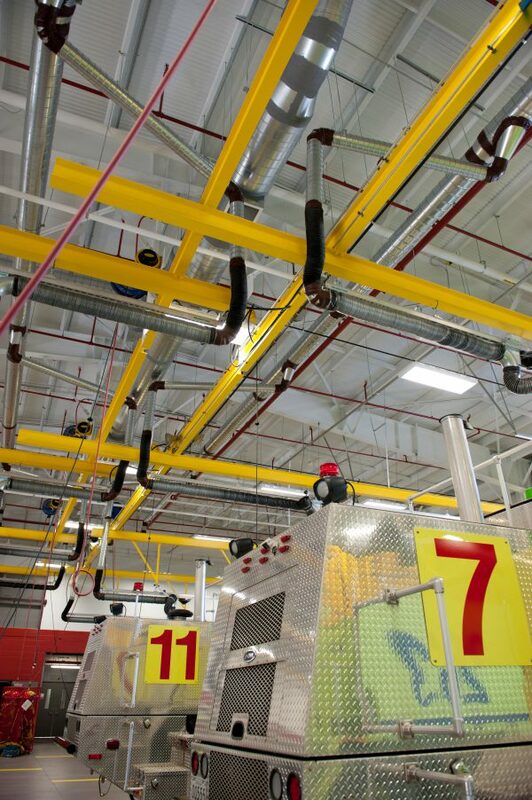 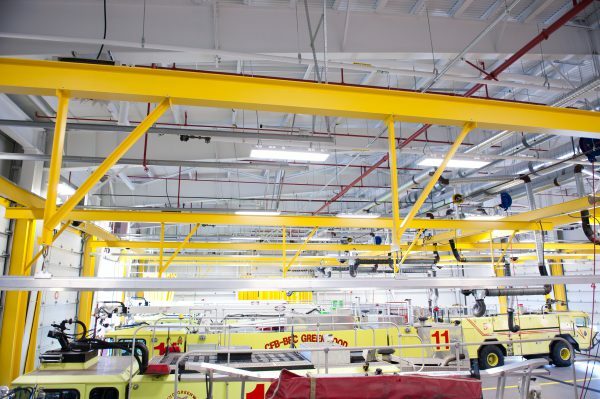 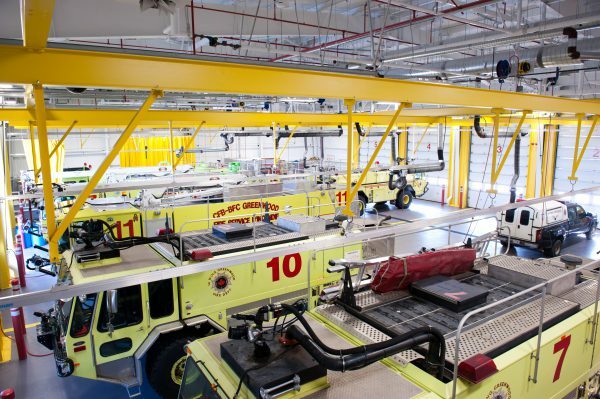 This fire hall contains a 927-square-meter apparatus bay for fire equipment and vehicles and a 1 213-square-meter administration area containing a gym, locker rooms, classrooms, office space, maintenance rooms, and accommodations. A 284-square-meter mezzanine houses the alarm room, conference room, and mechanical room. 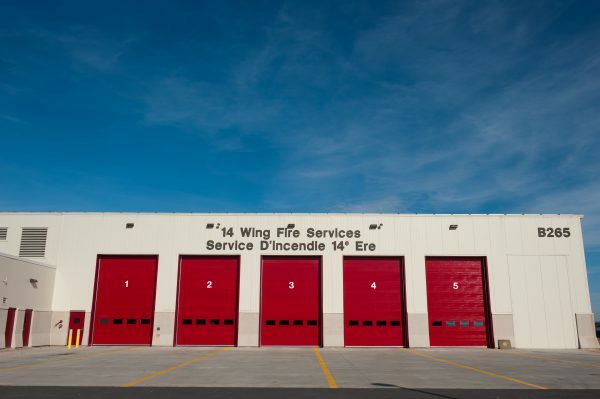 The facility is located adjacent to the runway and provides fire fighting services for both the airfield and the base.